MNE: The collaborative movie was released last night (April 12) movie, Guava Island. The pair put out the film last night (April 12), half an hour into the Gambino’s – aka Donald Glover – headline set at Coachella. 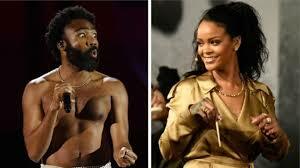 One person pointed out the work of director Hiro Murai, who has worked with Glover previously on Atlanta and the video for ‘This Is America’.